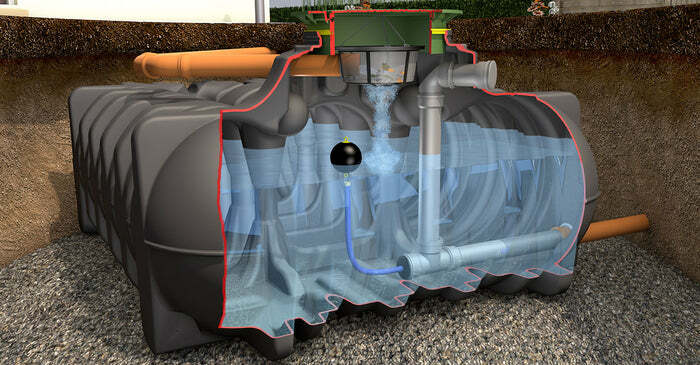 Below Ground SuDS Rainwater Attenuation Tank – Freeflush Rainwater Harvesting Ltd. This below ground rainwater attenuation tank is a an excellent solution for small drainage areas for which SuDS are required. Infiltration may not be possible due to due poor ground conditions (impermeable clay) or limited space. Likewise and above ground attenuation tank may not appeal due to aesthetic/planning considerations. This package provides the perfect solution to satisfying planning and building control. The tank is pre-fitted with floating intake which limits the discharge leaving the tank. The amount of attenuation required varies from site to site so please get in touch so we can calculate this. In many cases there may be a residual volume of water which is not required for attenuation and can be reused. This allows for a combined rainwater harvesting and attenuation solution. Where peak rainfall exceeds the tank outlet capacity the balance is stored or attenuated in the tank and released slowly back into the foul water or surface water system. The tank comes complete with an internal filter which prevents debris in the system. 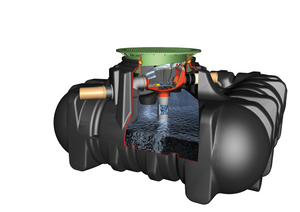 The tank is manufactured in the Germany from MDPE. 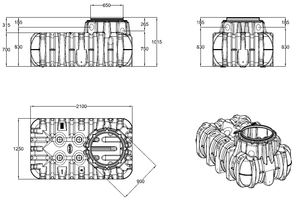 This is a very solid construction dissimilar to other thin walled tanks available.